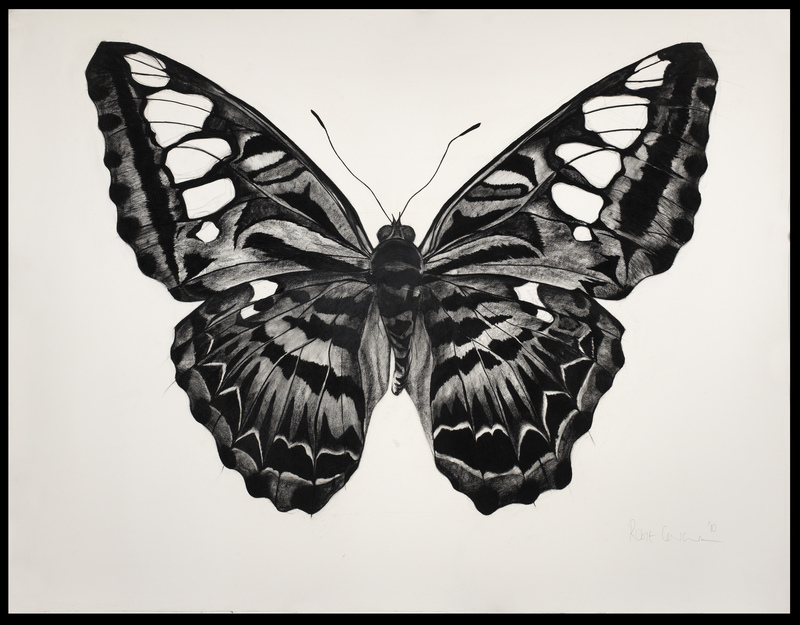 This is the first time that Asprey London has ever asked a contemporary artist to exhibit their work and they could not have chosen a better “first” than the drawings of Rose Corcoran. 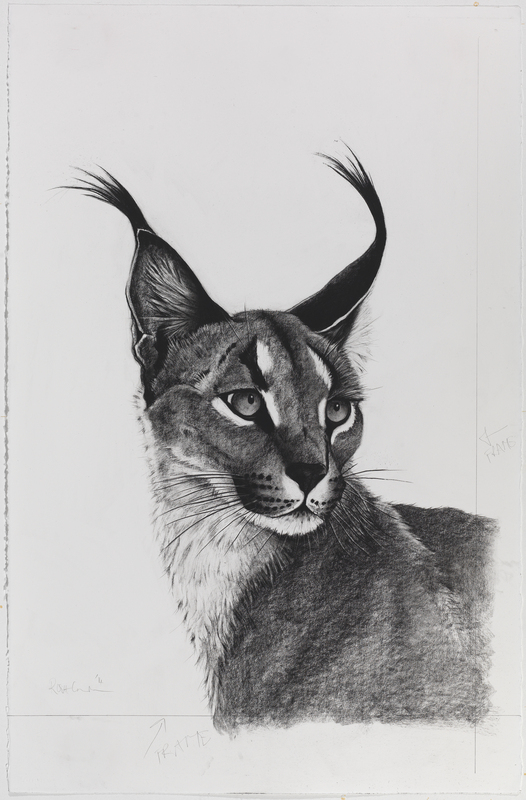 Well-known as a wildlife artist Rose works in pastel and charcoal to great effect. Her travels in India – living in Dharamsala for a year – drew her towards tigers which she studied in the wild in Ranthambore National Park with Valmik Thapar, a leading tiger conservationist. She has returned there many times in the succeeding fifteen years and has assisted Thapar in his conservation work. 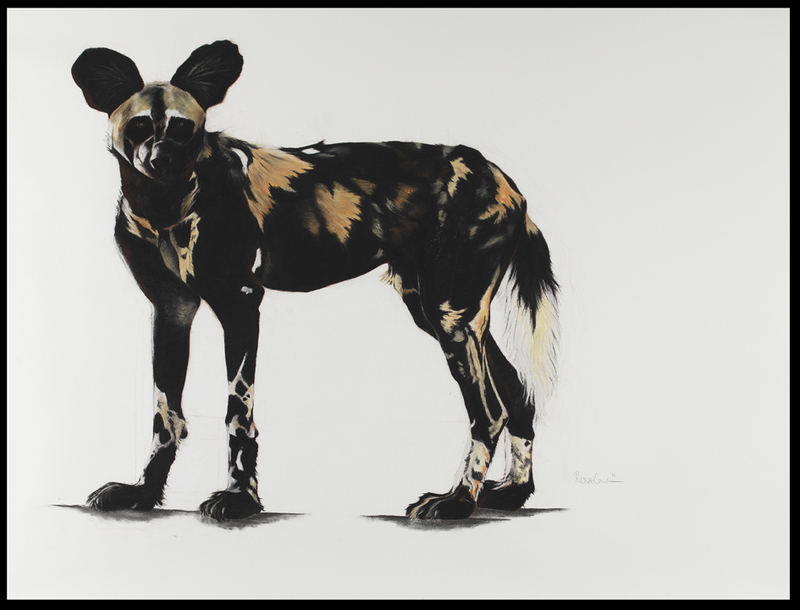 But her pictures are not confined to tigers alone for in this show she also exhibits studies of African wild dogs, a caracal, a lioness, butterflies and elephants. All serve as a timely reminder to the threat these animals face in the wild and in fact this exhibition will help raise money for the charity the Wildlife Protection Society of India. 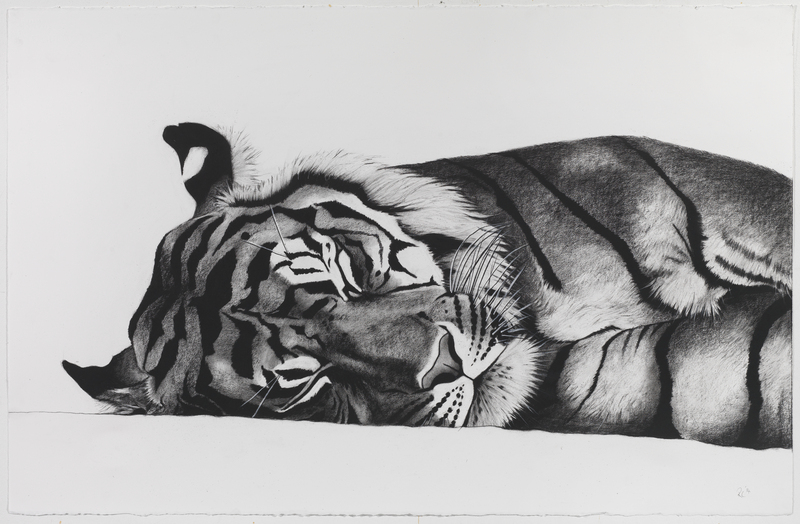 This entry was posted in Contemporary Art, Drawings, Fine Art, Visual Arts, Works on Paper and tagged Asprey London, contemporary art, Fine art, tigers, Visual Arts.